The Colony Group is honored that its Bethesda, MD office was selected as one of the Best Places To Work by the Washington Business Journal. The key to our success is our employees, and we want to thank them for their excellence in how they serve our clients and support each other professionally and personally. 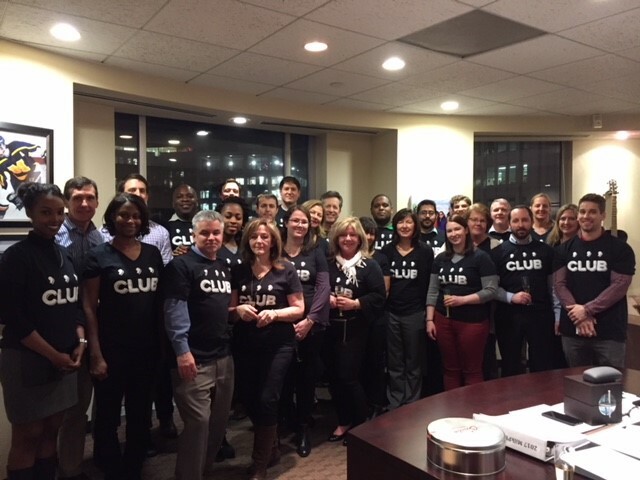 “We are honored to have our DC regional office recognized as one of the Best Places To Work. Our team is passionate about what they do, unselfish in the way they support each other and committed to bringing the very best of themselves to the work that they do for our clients,” said Michael Nathanson, Chairman, CEO & President of The Colony Group. “Our office has fostered a culture that is mindful, positive, and inclusive, where everyone’s thoughts and opinions matter and are encouraged. We are incredibly proud that our senior staff is committed to nurturing and mentoring our younger team members to be the future leaders,” said Ron Rubin, Vice Chairman and Managing Director of the Mid-Atlantic region of The Colony Group. The Colony Group fosters a culture where employees in all of our offices thrive. We were recently selected as one of the Best Places To Work for Financial Advisors of just 50 firms nationally by InvestmentNews. This recognition is indeed a culmination of our ongoing commitment to our employees and our clients. As one of the Washington Business Journal’s Best Places To Work, the Washington, DC regional office was selected based on meeting the criteria for business location and size, and employee participation in a survey measured by Quantum Workplace. The survey evaluated things like team effectiveness, retention, employee alignment with company goals, trust in leadership, work engagement, and individual needs. InvestmentNews partnered with Best Companies Group, an independent research firm specializing in identifying great places to work, to compile the inaugural survey and recognition program for eligible financial advisors. Information was gathered from the advisors regarding employee benefits and policies, and employees confidentially answered a survey regarding employee engagement and satisfaction. The list is a first of its kind for the financial advice industry.